Edinburg’s 5.5 percent unemployment rate for July 2016 is best showing for that month in the Valley, reports EEDC Executive Director Agustín García, Jr. 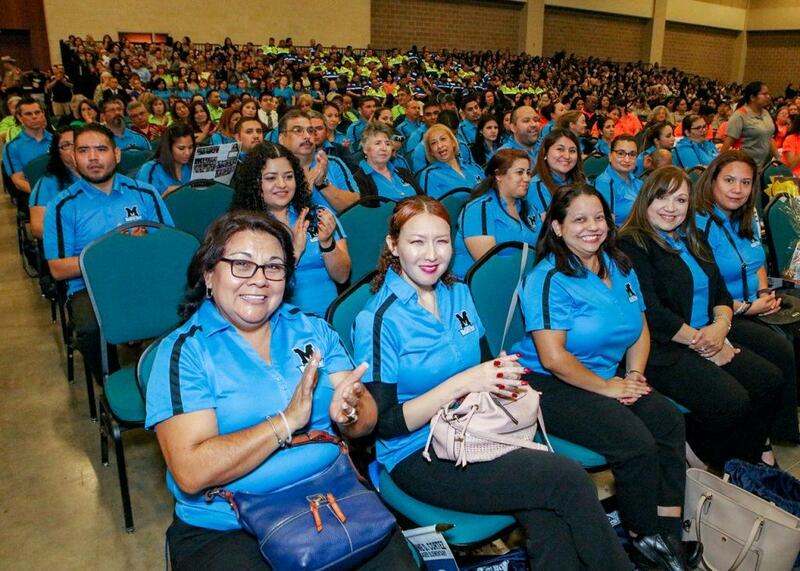 Featured: Approximately 5,000 teachers and staff attended the Edinburg Consolidated Independent School District’s General Assembly on Wednesday, August 17, 2016 at the McAllen Convention Center. The school district is the largest employer in the city and in Hidalgo County. Ellie M. Torres, Secretary/Treasurer of the Board of Directors for the Edinburg Economic Development Corporation, serves on the Board of Trustees for the Edinburg school district. For the second time this year, Edinburg registered the lowest unemployment rate among Valley cities, coming in at 5.5 percent for July 2016, tied with McAllen, according to statewide figures posted on Friday, August 19, 2016 by the Texas Workforce Commission. Edinburg’s 5.5 percent figure also represents the best showing for that month in the city since July 2008 (5.4 percent), the Edinburg Economic Development Corporation has announced. Edinburg and McAllen, with their respective 5.5 percent monthly unemployment rates, along with Harlingen (5.9 percent), were the only three cities in deep South Texas to post figures for July 2016 under six percent, the Texas Workforce Commission also found. In addition, the Texas Workforce Commission reported that there were 35,655 people employed in Edinburg during the month of July 2016. That performance represents an increase of 567 jobs in Edinburg when comparing the employment figures for July 2016 (35,655) and July 2015 (35,088). The state’s unemployment rate in July 2016 was 5.1 percent, compared with 4.8 percent during the same month in 2015. 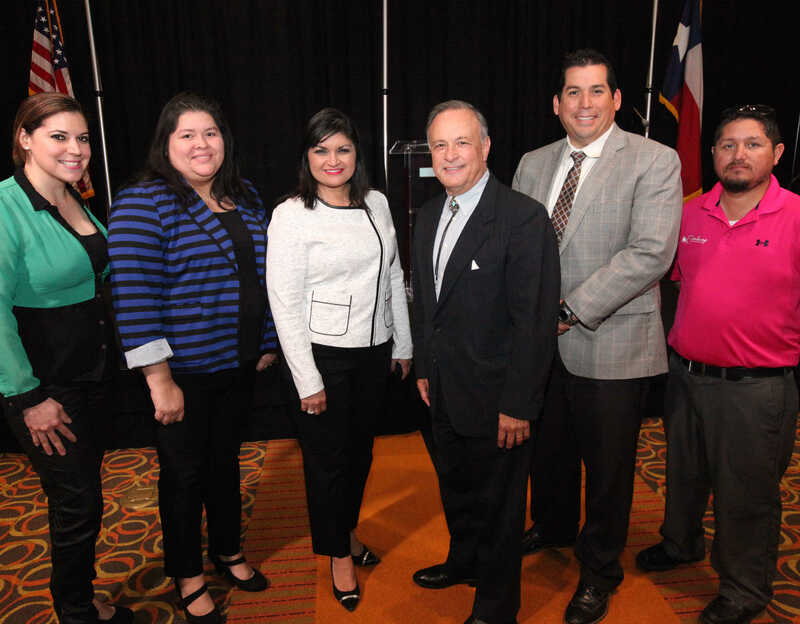 Featured, from left: McAllen Mayor Jim Darling; Edinburg Mayor Richard García; Pharr Mayor Ambrosio Hernández, M.D. ; and University of Texas System Chancellor William H. McRaven on Thursday, August 11, 2016 at the Edinburg Conference Center at Renaissance. The leaders participated in a panel discussion about the UT Rio Grande Valley School of Medicine, which has a major component in Edinburg. 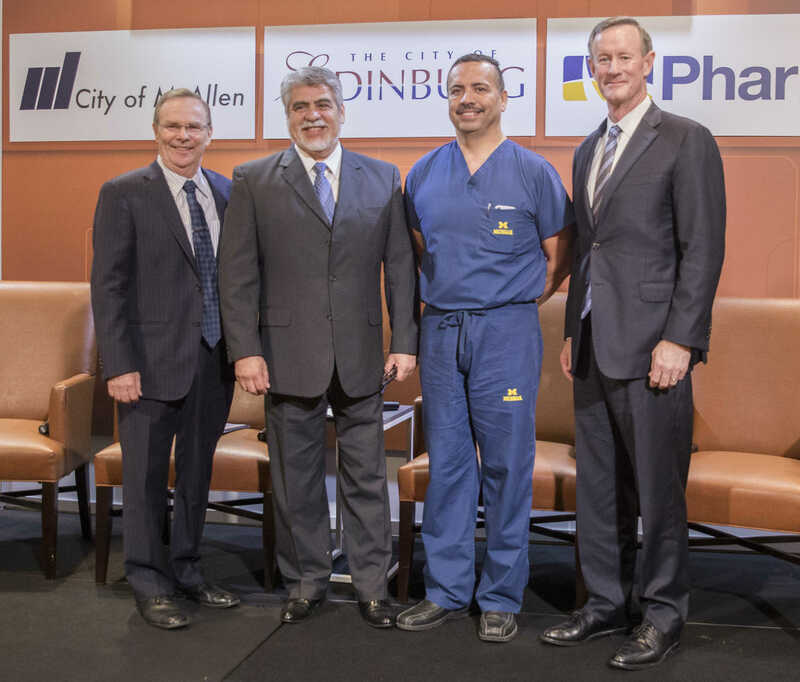 The Edinburg Mayor, Edinburg City Council, and Edinburg Economic Development Corporation played key roles in 2013 in securing a full-fledged medical school from the Texas Legislature for deep South Texas. In July 2016, the first class of medical students began their education at the $54 million Medical Education Building, which is located on the UTRGV campus in Edinburg. Construction and related building activities in Edinburg from January through July 2016 have passed the $152 million level, the Edinburg Economic Development Corporation has reported, with the month of July 2016 accounting for almost $21 million of that amount. The Edinburg EDC, of which Agustín García, Jr. is Executive Director, is the jobs-creation arm of the Edinburg Mayor and Edinburg City Council. 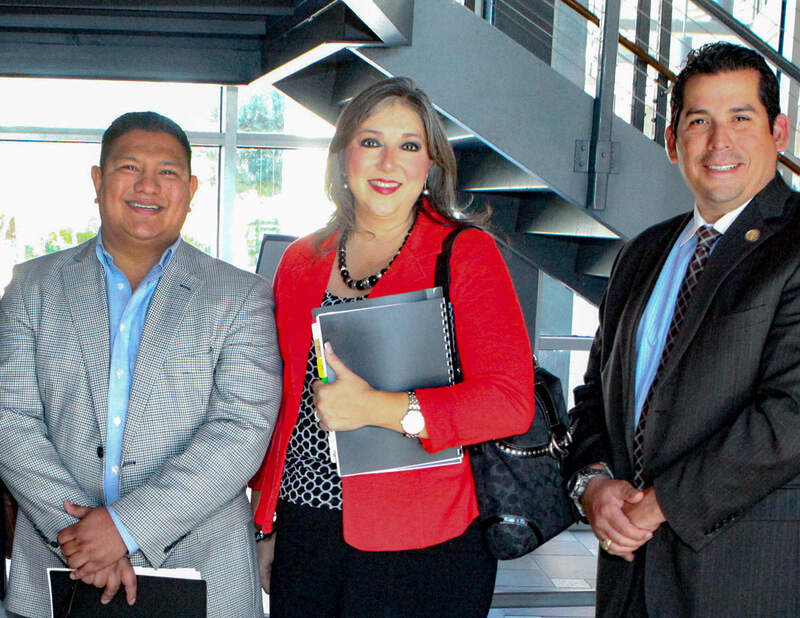 The Edinburg EDC Board of Directors is comprised of Mark Iglesias as President, Harvey Rodríguez, Jr. as Vice President, Ellie M. Torres as Secretary/Treasurer, and Mayor Richard García and Richard Ruppert as Members. Combined, building permits from January through July 2016 were issued for work valued at $152,426,011 compared with $78,554,684 for the same seven months in 2015. During July 2016, building permits for work valued at $20,681,153 were issued by the city, compared with $13,330,130 in July 2015. The top construction projects in Edinburg for July 2016, not including the value of the land, are: $9,430,920 – Wisconsin Street Housing LP, 2132 E. Wisconsin Rd., John Closner Subdivision; $2,800,000 – Edinburg Village Apartments, 701 S. 4th Avenue, Maverick Subdivision; $960,000 – Edinburg Consolidated Independent School District, 1202 N. Monmack Rd., Tex-Mex Subdivision; and $379,259 – South Texas Independent School District, 510 S. Sugar Rd., Tex-Mex Subdivision. Featured, from left: Harvey Rodríguez, Jr., Vice-President, Board of Directors, Edinburg Economic Development Corporation; Ellie M. Torres, Secretary/Treasurer, Board of Directors, Edinburg Economic Development Corporation; and Agustín García, Jr., Executive Director, Edinburg Economic Development Corporation. This image was taken on Tuesday, October 27, 2015 at Edinburg City Hall, following an EEDC Board of Directors meeting. Construction and related building activities in Edinburg totaled more than $9.2 million for February 2016, bringing the total value of construction activities in the city to almost $45.5 million during the first two months of the year, the Edinburg Economic Development Corporation has announced. Combined, building permits in January and February 2016 were issued for work valued at $45,462,422, compared with $29,478,831 for the same two months in 2015. 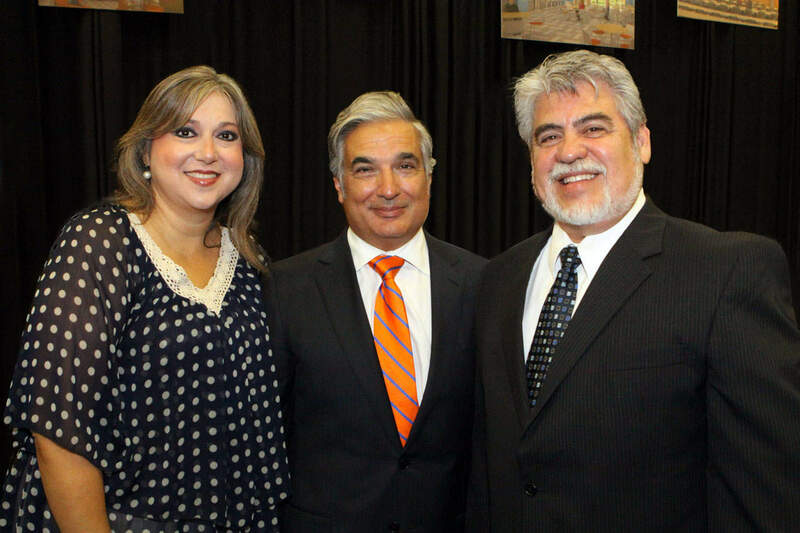 Featured: Ellie M. Torres, Secretary/Treasurer for the Board of Directors of the Edinburg Economic Development Corporation, Francisco Cigarroa, M.D., then-Chancellor of the University of Texas System, and Mayor Richard García, on Tuesday, August 26, 2014, during groundbreaking ceremonies for the $54 million University of Texas Rio Grande Valley Medical Academic Building in Edinburg, the first new construction for the UTRGV School of Medicine. Edinburg’s unemployment rate for February 2016 of 4.5 percent is the best showing of any month for the city since February 2008, and this latest figure continues to keep pace with McAllen’s Valley-leading monthly unemployment rate, which came in at 4.4 percent for February 2016, the Edinburg Economic Development Corporation has announced. Also according to the latest data, which was released on Friday, March 25, 2016 by the Texas Workforce Commission, there were 36,204 people employed in Edinburg during the month of February 2016. The data represents an increase of 753 jobs in Edinburg when comparing the employment figures for February 2016 and February 2015. In February 2016, there were 36,204 employed in Edinburg, while 35,451 were employed in Edinburg in February 2015.